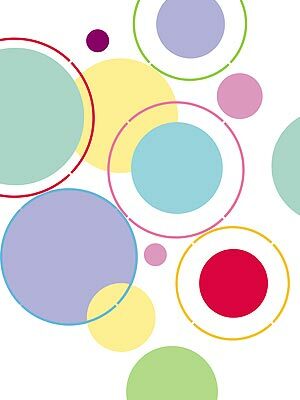 The Circles Theme Pack Stencil contains 6 differently sized circle stencils – large to small – perfect for decorators wanting to create simple modern style. Circles are a great shape for creating a host of pattern effects, but never that easy to draw or paint freehand, so a set of perfect circle stencils is ideal for easily applying circle motifs to walls, decorative panels, curtains, bed linens and cushions. 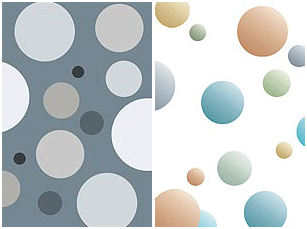 Circles work as decorative motifs in single colours, bright palettes of mixed hues and soft muted shades. 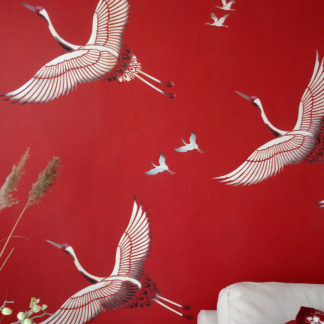 They can be stencilled as a regular pattern, or irregular random sequences – placed far apart, close together, in overlapping or concentric patterns. 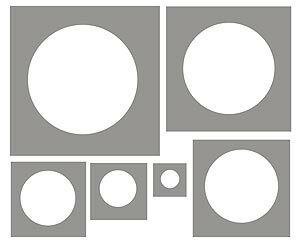 This Theme Pack contains six different sized circle stencils, ranging from the smallest at 5cm (2″) up to the largest at 30cm (12″) – see full list of sizes below. 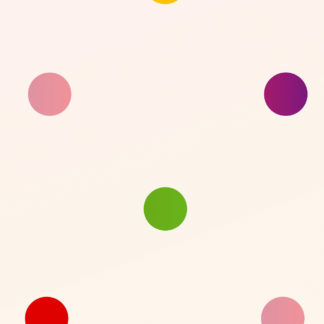 This stencil theme pack is designed to be used on its own or with the Dotty Circles Stencil, the Outline Circles Stencil. 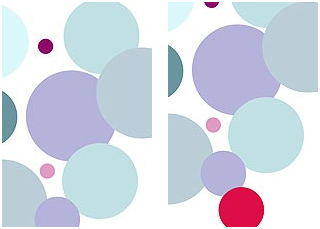 Above and top – the different sized Circles of this theme pack stencilled in Chinoiserie, Duck Egg, Emerald Forest, Forget-me-not, Indian Purple and Cerise Stencil Paints. 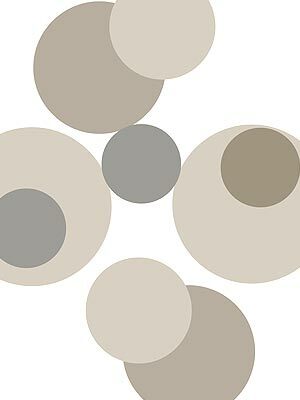 Above – the Circles Theme Pack Stencil stencilled in random overlapping patterns in Latte, Mocha and Arctic Grey Stencil Paints on a white background, showing the effect that can be achieved using a ‘close-toned’ colour palette. 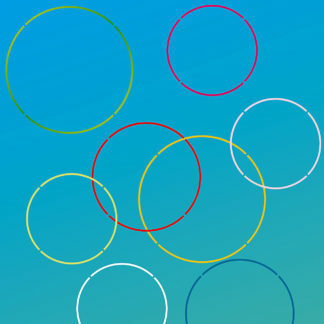 Above – the Outline Circles Stencil stencilled around the different sized circles from the Circle Stencil Theme Pack. 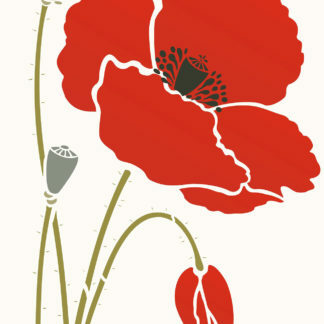 Outline Circles stencilled in Kingfisher, Raspberry, Verbena, Pineapple and Campanula Stencil Paints; Circle Stencils in Evening Primrose, Chinoiserie, Very Berry, Plum Blossom, French Lavender, Indian Purple, Ash Green and Sea Green Stencil Paints. 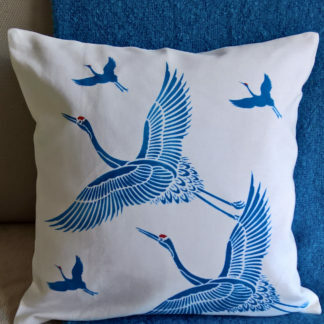 The outline circles can be stencilled using stencil sponges, stencil rollers, or stencil brushes in our range of different Stencil, Metallic, Glitter and Fabric Paints. 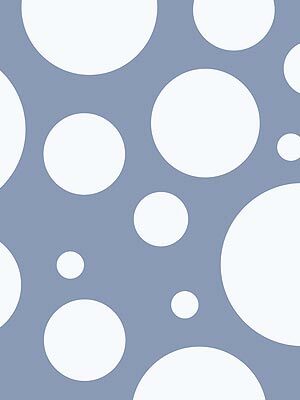 Use in conjunction with the Outline Circles Stencil and Dotty Circles Stencil (which both have similar diameter measurements so they can be combined easily). 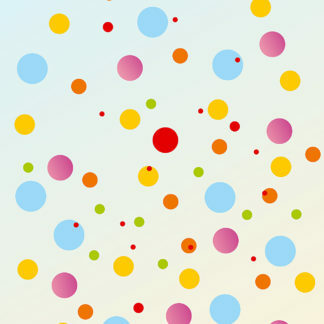 Other repeated circle motifs include the Large Polka Dot Repeat and Small Polka Dot Stencil from our range of different circles stencil options. 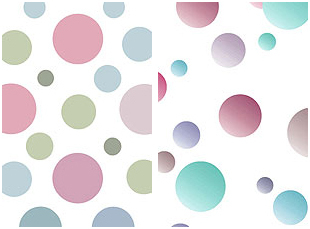 Above – the different sized Circles of this theme pack stencilled in Ash Green, Chinoiserie, Evening Primrose, English Rose, French Lavender and Very Berry Stencil paints on a white background. Above left – the 6 different sized circles of this theme pack stencilled in Alba Rose, Spring Vine, Hedgerow, and Duck Egg Stencil Paints. Above right – a different arrangement in Plum Blossom, French Lavender, Forget-me-not, Chinoiserie and Sea Green Stencil Paints. 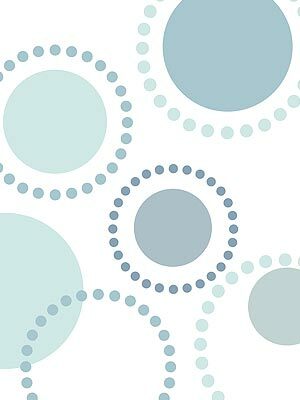 Above – the 6 different sized circles of this theme pack stencilled in Ice White Stencil Paint on a blue-grey background. Above left – the 6 different circles of this theme pack stencilled in Ice White, Shoreline, Arctic Grey and Navy Charcoal Stencil Paints on a grey background. Above right – a different arrangement in Chocolat, Mocha, Latte, Eucalyptus and Paradise Blue Stencil Paints. Circles Stencil Theme Pack with the Outline Circles. 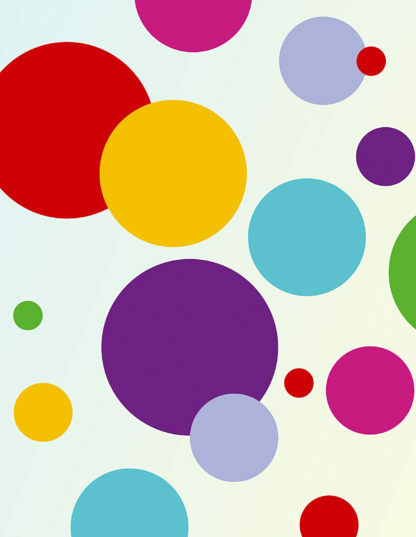 Above – the Circles Theme Pack Stencil with the Outline Circles stencilled in random interlocking patterns. 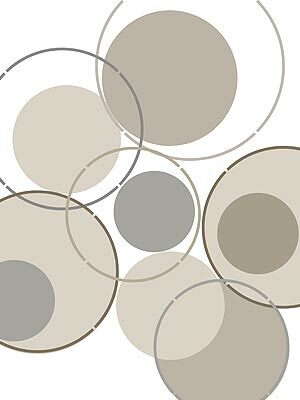 Circles in Latte, Mocha and Arctic Grey Stencil Paints; Outline Circles in in Shoreline, Arctic Grey and Coffee Bean Stencil Paints. 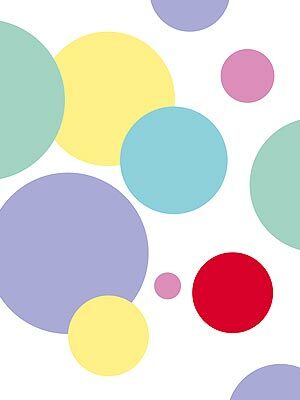 Above – the Circles Theme Pack Stencil with the Dotty Circles Stencil stencilled in a concentric pattern in Duck Egg, Indian Ocean mixed with Ice White and Storm Stencil Paints. 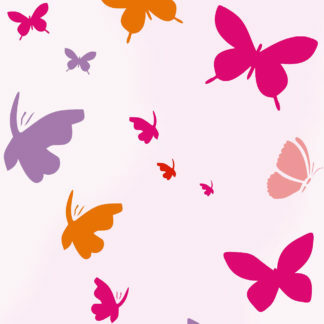 This theme pack comprises 6 circle stencils cut out of 125 micron mylar. Diameters measuring 5cm (2″), 10cm (4″), 15cm (approx 6″), 20cm (approx 8″), 25cm (approx 9 3/4″) and 30cm (approx 12″). 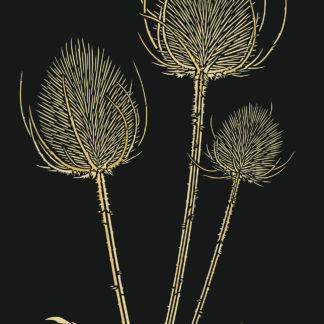 Left the six sheets of this stencil pack.